Before January ended we went to a new Food Park in Malingap Street, Diliman, Quezon City called, Sagul. 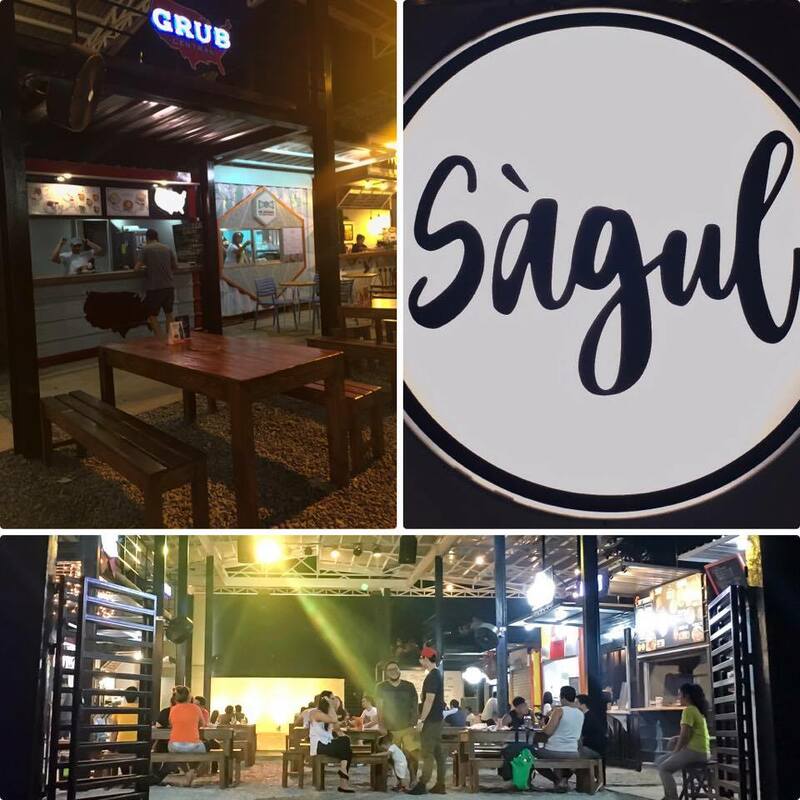 Sagul Food Park aims to provide food enthusiasts a comfortable and relaxing venue where they can have a bottle of beer while enjoying delectable dishes and shows that exhibit different types of art. The Sagul Food Park has two levels. Food stalls line up on the side of the first level while the dining area where wooden tables and chairs were placed in the middle of it. Mats and bean bags were placed on the second level for those who want to relax and unwind. The area is well ventilated and not crowded but the most important feature that this park has, for us, is the parking area, not all food park has one. Among all the food stalls at the park, Grub Central caught our attention because of the food that they serve- "soul food". This is the first time that we heard about the latter in the Philippines and we got curious about it. 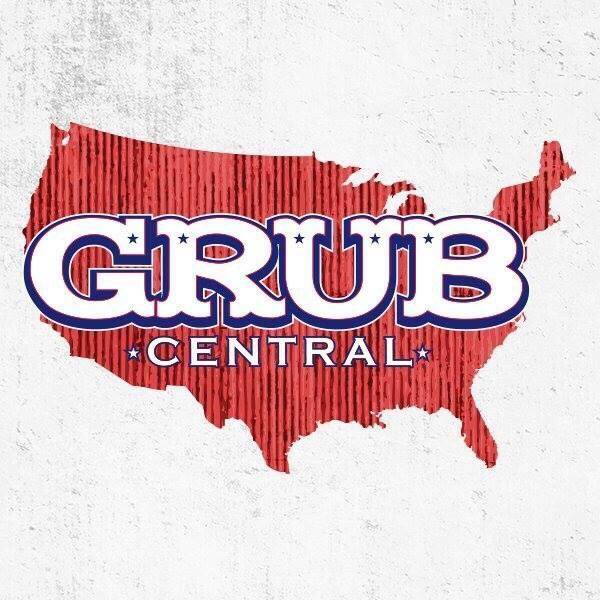 Luckily, one of the owners of Grub Central was there to give us an idea about "soul food"
Soul Food was a term that got popular during the 1960s. It is the term use for a variety of traditional African cuisine in the Southern United States. Soul food also became a tool that reminds people who participated in the Great Migration of home and family. That is why for Grub Central, " Soul Food Is Made From The Heart." 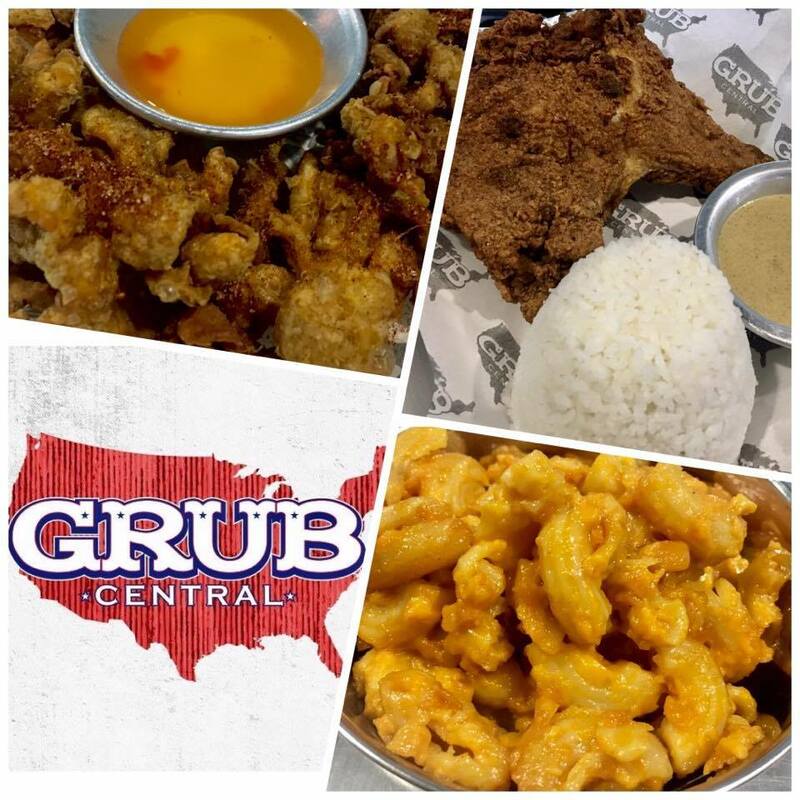 According to Mr. Anjo Querol, one of the owners of Grub Central, the name of their food stall was derived from Grub which means food in Southern language and Central or center. Grub Central strictly serve soul food with generous servings at an affordable price. The owners of Grub Central want each customer to feel that the dishes are worth every single peso that they paid for it. Value for money and taste of food matters to Grub Central. To start our soul food banquet we tried Grub Central's Spiced Chicken Skin. 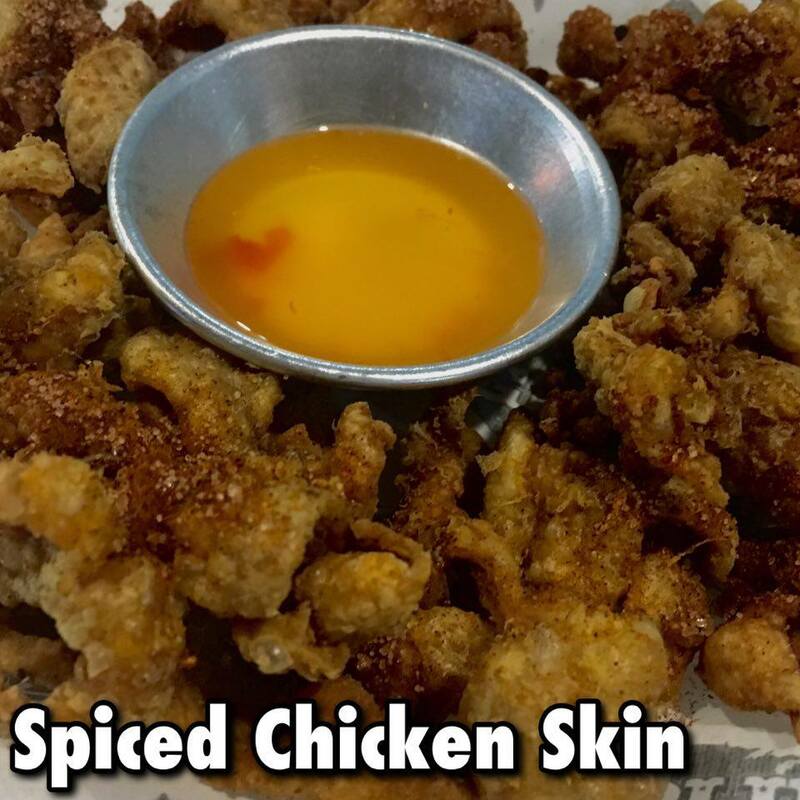 The chicken skin is crunchy and oozing with juice on every bite. At first, we thought that Grub Central's chicken skin tastes like the ordinary ones but as we bite the latter it releases a smoky and salty flavor. The dip compliments the chicken skin and Filipinos craving for a sour dressing. 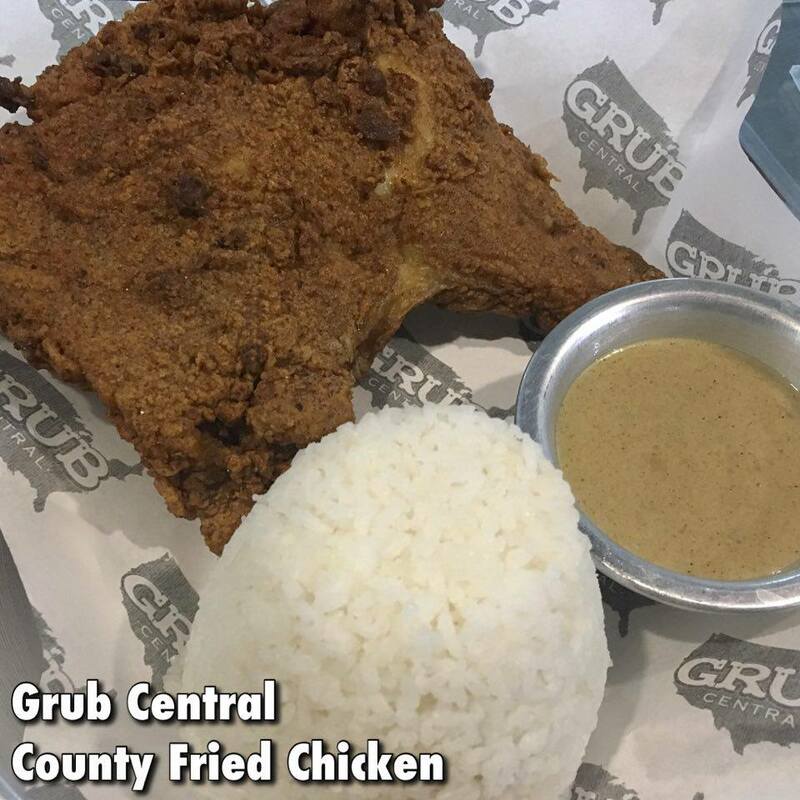 Our first reaction when we saw Grub Central's Country Fried Chicken was "WOW". 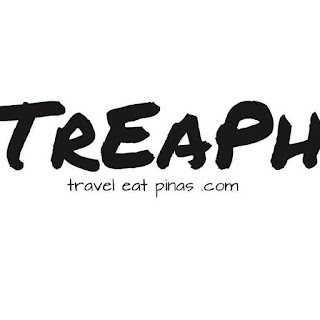 Their fried chicken is the biggest chicken serving that we saw in Manila. Unlike the usual fried chicken serve in restaurants, Country Fried Chicken have a hint of smoky taste coming from different spices. The chicken skin is crispy even if you leave it for a couple of minutes or so. The meat is cooked well, tender, oozing with juice and is seasoned perfectly. 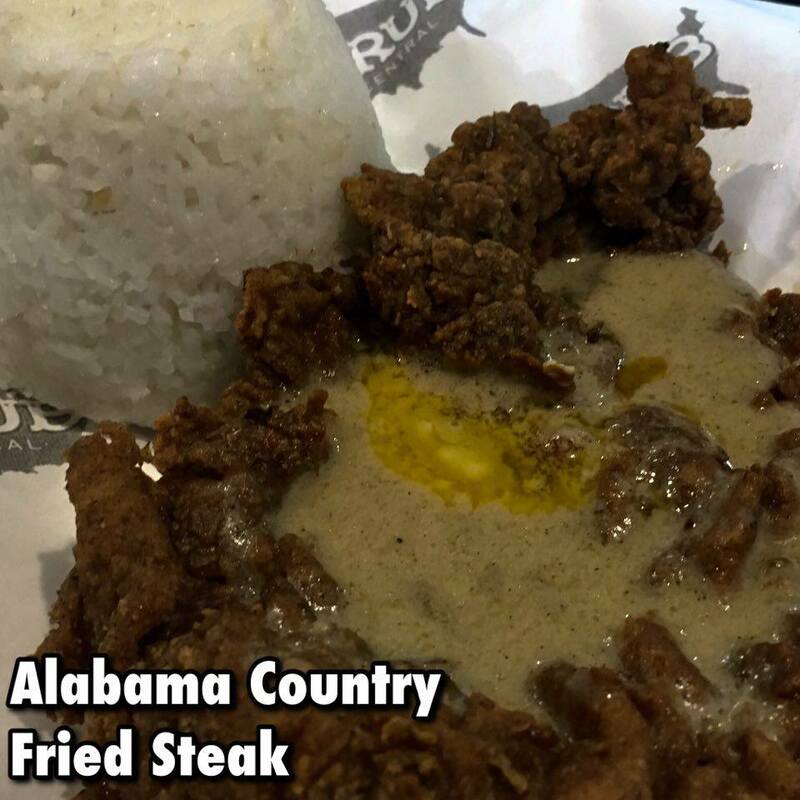 Instead of the usual grilled, broiled and pan-seared steak, Grub Central breaded their steak with different spices, fry, drizzle with creamy and smoky gravy and top it with butter. Like the Country Fried Chicken, the Alabama Country Fried Steak has a generous serving. The steak breading is crunchy while the meat is chewy. The steak is perfectly seasoned, flavorful and with a hint of smoky taste because of the spices incorporated in the latter. To spice up our banquet we also tried Grub Central's side dishes- Mac & Cheese and Creamed Corn. 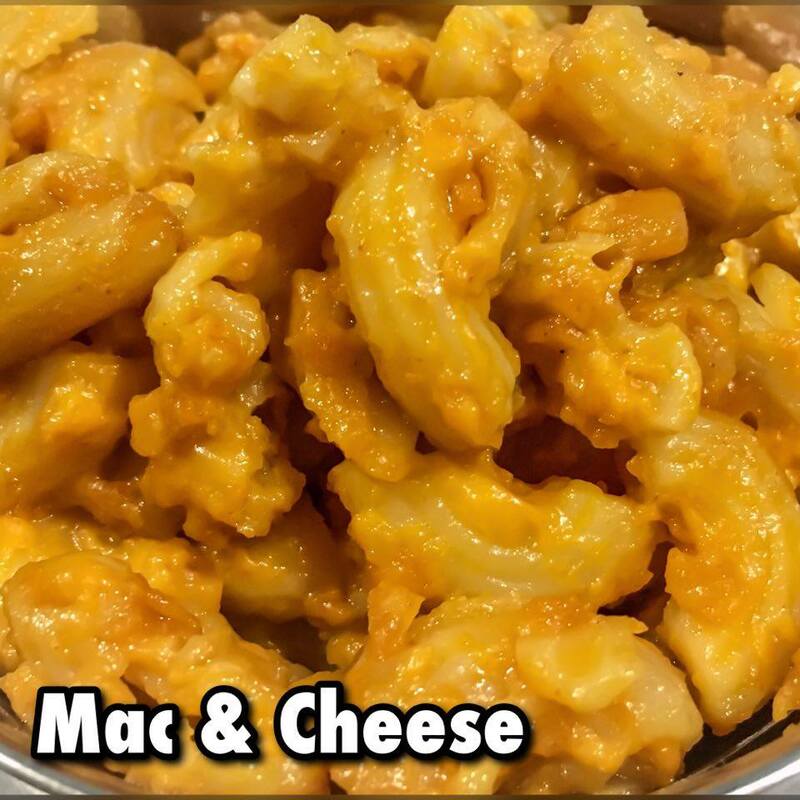 Grub Central's Mac & Cheese has al dente pasta mixed evenly to a sauce made from cheese and other spices. For us, the overall taste of Grub Central's mac & cheese is cheesy barbecue. Grub Central's Creamed Corn is composed of al dente corn with creamy and sweet sauce. 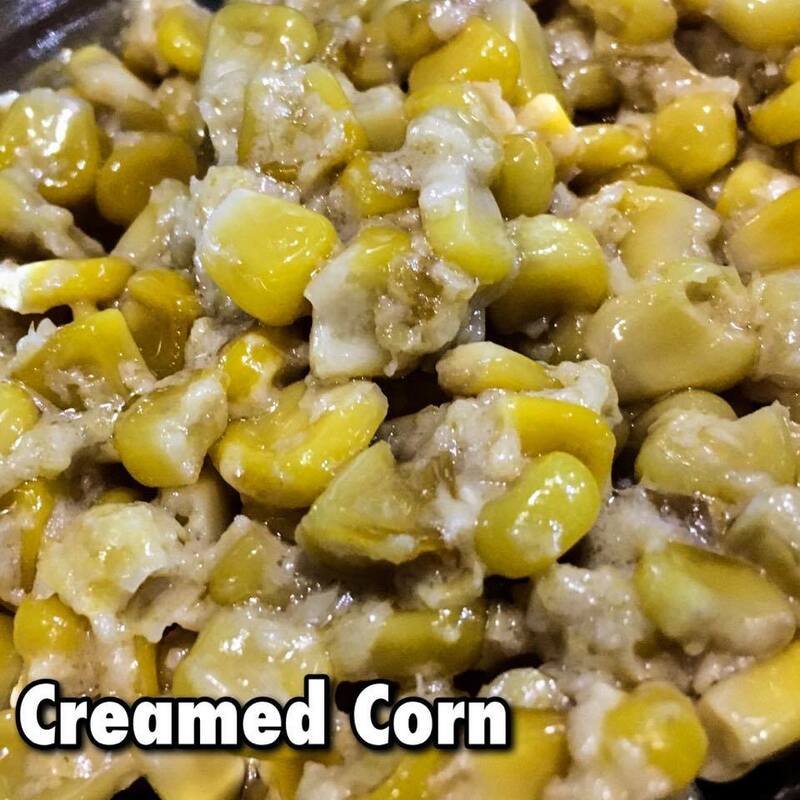 Unlike other creamed corn, the special sauce of Grub Central binds evenly to the corn mixed with it. Grub Central gave us a whole new gastronomical experience with the food that they passionately created. Each soul food that they serve is oozing with flavors. The serving is generous and affordable. Truly, Grub Cental give food enthusiasts value for every money that they spend and rich flavor on every dishes that they serve. Yup! Soul food is definitely made from the heart where the person making the food also puts their foot in it. My fave: macaroni and cheese and fried chicken. Yummy! That all looks so incredibly tasty! Calorific, but tasty! Yum! All that food looks so good! The mac & cheese looks the best.